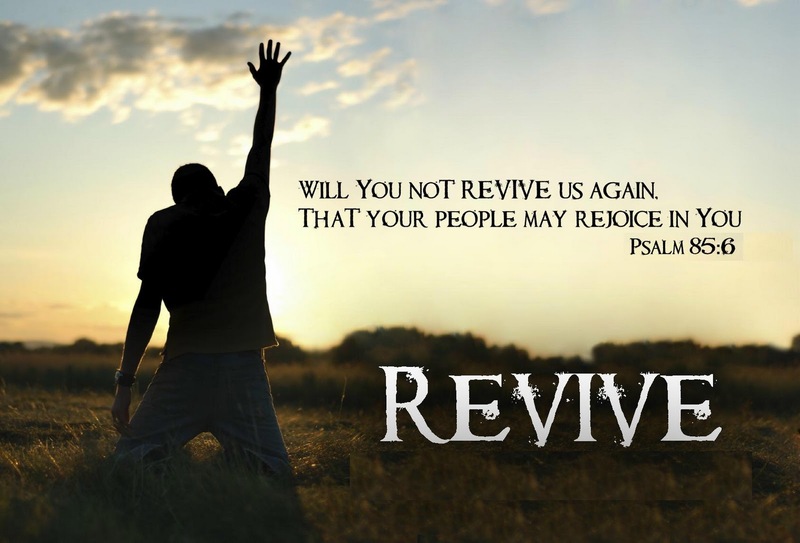 It’s time for revival…and believe it or not it starts with God’s people–Christ-ones–repenting of OUR SINS and walking away from the unfaithful aspects of OUR LIFESTYLES before we ask non-believers to do the same. Revival starts with us followers of Jesus being willing to humble ourselves to stop living a 21st century American version of Christianity and to start living a 1st century Biblical version of it. “This generation (1937) is perhaps the most lukewarm, flat and colorless of all Christian history. The average person is not ferociously bad but not fervently good either. He is simply indifferent, fed-up, nonchalant, yawning from one worn-out thrill to the other. In churches, the problem is not the vicious sinner but the average attender who is neither cold [acidic against Jesus] not hot [on fire for faith in Christ]. She is lukewarm, a little too good to be bad and a little too bad to be good. Jesus declares that such a person is nauseating to Him and that He will spew such out of His mouth” (please click HERE for Revelation 3:14-22 NLT). “Our churches are not succeeding because they are conforming to this world and excite no opposition from non-believers. It is emasculation [watering/cutting-down] from within rather than opposition from without that is weakening the churches. We have lost that sense of being a peculiar and separate people with a possession, a vision, and a work that the world knows not of. We had better get back to the SIMPLICITY and NARROWNESS of the Gospel. We have broadened the faith until it has become pitifully shallow. We must return to the hardships and suffering of the Gospel. Religion now is luxuriously easy; but Ananias was sent to Paul to tell him ‘how much he must suffer for the sake of Jesus'” (please click HERE for Acts 9:13-16 NLT). 1. We (United States Christians) are too concerned with NOT being Pharisees. Jesus rightfully railed against the Pharisees (those so focused on obeying the letter of God’s law that they completely missed the heart of it); but perhaps He focused on them so much because they were SO CLOSE to getting it right. Just as a coach is often toughest on his best players, perhaps Jesus was so abrasive to the Pharisees because He saw such potential in them, saw beneath their hypocrisy a deep desire to honor God with every detail of their lives. Yet over my thirteen+ years of being a born-again Christ-one, I have experienced very few legalistic and opinionated Christians, so few Jesus-people who are parodied and stereotyped and caricatured in the American culture. Instead, I have come to know so many wonderful followers of Jesus who seem so focused on NOT being like the Pharisees that they plateau at becoming more fully like Jesus. D. We focus so much on building relational bridges with non-Christians with our actions that we conveniently forget to ever drive across those bridges bringing the Good News of Jesus with our words. 3. We focus so much on the friendship of Jesus that we forget the Lordship of Christ. Jesus is not my homeboy; He is my friend and Savior, but He is also my Judge and my God, my King and my Owner. Let’s not get so comfortable in the House of God/with the love of God that we intentionally trample His carpet with muddy shoes, that we carelessly/nonchalantly kick our dirty feet up on His furniture, that we toss Him around like last year’s now-obsolete IPhone. He loves us just the way we are, but He also loves us too much to leave us just the way we are (Rick Warren). He is graciously approachable, but let’s not take advantage of that by being flippant/disrespectful/inattentive. He is meek, but He is not weak. He did stoop down to save us sinners, but He also went back up to rightfully sit on His throne. May we remember the friendliness of God while not forgetting His holiness. F. Paul describes God as a “consuming fire” (Hebrews 12:28-29 NIV).